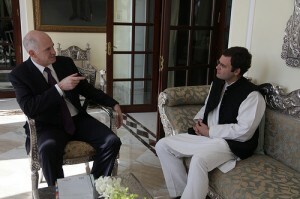 Does the junta really wants Rahul baba to be future PM? Bad time for Rahul Gandhi? A battle is lost. Almost. And ha, the war seems to show result before beginning. Anna Hazare must be a happy man after seeing the results. At least for some reasons. And why not? Angry junta gave its verdict. Another vote for change by the public in the UP elections have made many points clear yet there are some new questions which have crept in. A young (actually 40+) was projected to be the future Prime Minister of the world’s largest democracy. And there was a battleground already in place to prove his mettle – the UP election. Any novice political analyst would have reveled the fact that the BIG STATE is set for a change, a major change. A host of events made it obvious. A movement called India Against Corruption has been a huge success though the media found another issues to talk about. Attribution of the change can no doubt be given to this movement which did the awakening thing in the public who started to adjust with the system. Another reason that junta voted for the change could be that their previous elected leader Mayawati was more busy in making her statues and there were charges of a high level corruption against her. Apparently, a lot of issue were going on inside her party, but the dictator lady was smart enough not to bring them out to the public. Among the least talked about or rather hyped party was the SP led by Mulayam Singh, which indeed is party of the match and have the luxury to decide who will be their kingmaker as well! A twist in the tale which was told to us by Diggy raja & other Congress leaders that Rahul Gandhi will bring the paradigm shift to the state where they seem to have lost ground for years happened. And it was more of a setback than twist for the party ruling in center as their future PM Rahul Gandhi fails to charm the voters on the same issues they were talking about for decades. Anxious high command and mummy Sonia need to talk to their think tanks about what should be the ran-neeti for 2014. Anyone can say this that Rahul needs to think more about his strategies and hence what next to be done? A better question would be Who next? A daughter, a charming lady who happens to be the sister of baba can be a good option for congress. A vast majority of people find her more eligible than her brother for many reasons and its time for congress to say bye bye to baba and opt for the lady. Altogether, it can be said so and the only thing to talk about the issue is that it was never Rahul’s magic which was projected by the media hype which was simply staggered with the results.